Learning to defend against rush is important in any card game. Rush players want to finish the match off as quick as possible by applying relentless pressure. Defending can seem overwhelming but you can hold back the beatdown by following some simple guidelines. Good land placement and Faeria management are the keys to victory. Land placement is a big part of Faeria and will be one of your primary tools to stop a rush player. However, before we get into that, it’s important to understand the strategy of the rush deck. In the opening turns the rush player’s objective is to get an aggressive land near your orb. Understanding your opponent’s land placement. In the diagram above you see three sets of coloured tiles. The yellow tiles represent your opponent’s opening lands. Your opponent needs these lands to get to your orb as fast as possible. If your opponent has gone second he can acquire all of these lands with the Explore card. This is unavoidable so don’t be alarmed when these lands come towards you. The red tiles are the spots your opponent needs to have immediate access to your orb. Creatures that are summoned here can attack your orb on the following turn. Creatures with Haste might be able to attack your orb immediately. It is not always possible to stop your opponent from getting every land and that shouldn’t be your objective. The red tiles are to show you what lands your opponent wants to start their aggression. These are the safe lands. Your opponent won’t be able to attack you immediately without the help of another card. If you can force your opponent to build on these lands you’re in a comfortable position. Now you know how your opponent is going to attack it is time to learn how to defend. Your priority is to stop your opponent getting lands directly in line with your orb. If you prioritise these lands you will stop your opponent from gaining faeria from your wells. Once you have these four lands you can begin to build land in other spots your opponent wants. Defensive land priority. In the diagram above I’ve used coloured tiles again to show you which lands you want to prioritise. These are your most important defensive lands. They stop your opponent having access to your Faeria wells. This is important for two reasons. Firstly, you stop your opponent gaining additional faeria when attacking. Secondly, your creatures can be summoned next to the wells to gain faeria. These are your second priority after building your first four defensive lands. Do not go for these until you get your well spots. These land spots will force your opponent to attack from the center, making it easier to defend. You never want to build land in this spot unless you’re playing rush yourself. Your opponent needs this land to attack your orb and you want him to build the land. This is important because he has to spend a resource to be aggressive and you want to make your opponent’s life as difficult as possible. Forcing them to build land stops them from using the power wheel to draw a card or gain faeria. Harvesting faeria is very important when fighting against rush. Having a healthy amount of faeria will help you defend by allowing you to play multiple cards in one turn. Gaining faeria is more important than defending your orb in the early game. 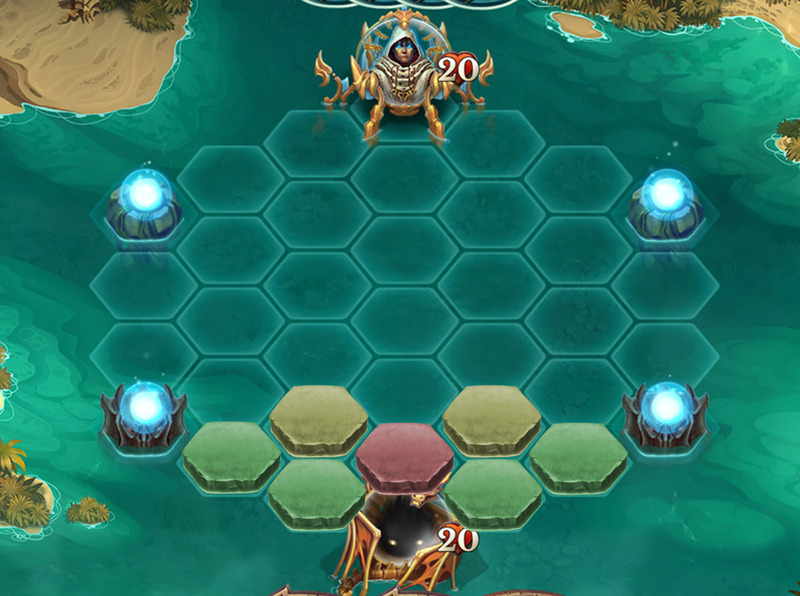 Getting a faeria harvester down early is your first step to defending against rush. 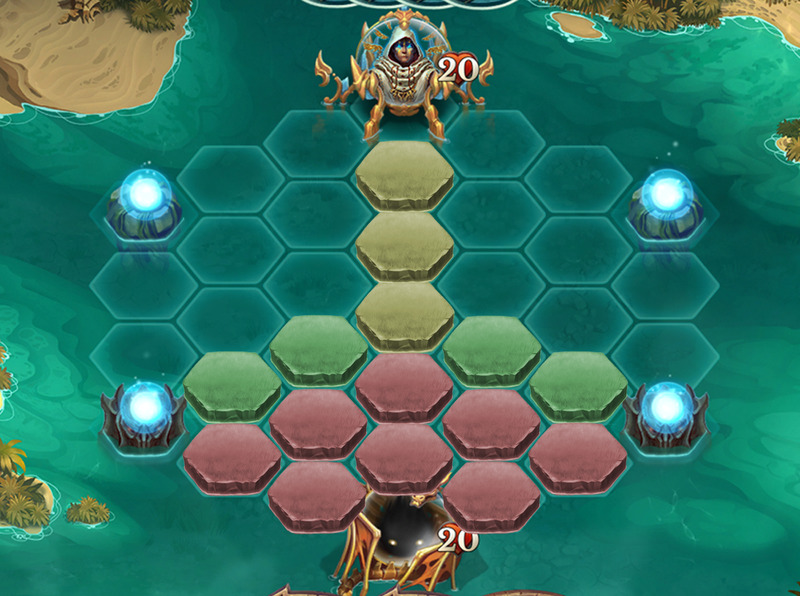 On your second turn you will have 6 faeria. Don’t be afraid to spend all your faeria playing down a creature. Once it’s on board it can collect or defend on the following turn. 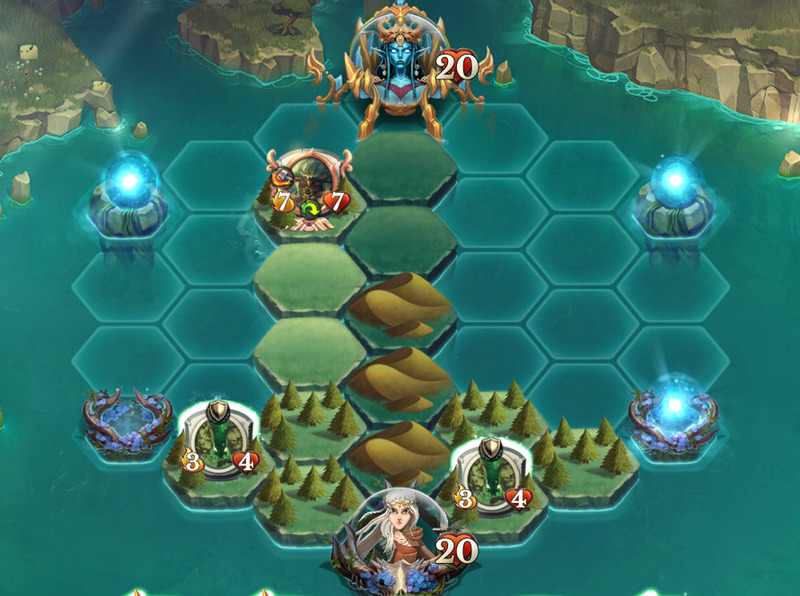 Summoning creatures next to your wells will allow you to collect faeria on the following turn then move into defend if need be. There are certain types of cards that can help boost your defenses. You should consider including them if you’re playing against a lot of rush. Healing is a good way of getting your orb out of danger. Healing is at its best when you’re not going to receive damage on the following turn. For example if you heal for five but your opponent has six attack at your orb you are just delaying the inevitable. Good healing cards to consider. Often times rush decks will make it a goal to get your life to a critical point where they only need one finishing card to win the game. Healing is often a great way to disrupt this strategy. You don’t need to have taunt or provide healing to be a strong defender. Having a good attack power or a strong gift ability can help you fend off aggression. Three to four attack is a good baseline to deal with rush creatures. Most of the early rush creatures don’t have more than four health. At some point you will need to mount an offense of your own but how do you identify the right moment? A good opportunity to launch a counter-attack is when you know your opponent doesn’t have the resources to defend. There are two elements of a counter-attack you should keep in mind. Keep an eye on your opponent’s faeria. Attacking your opponent when he out of faeria is a good way to secure a victory. Your opponent will either have to try and beat you first or invest resources into defense which is going against the rush decks strategy. A rush player will send his forces in waves and if you managed to defend well enough there will be spots when your opponent won’t do anything during a turn. This might be to draw more cards or get more faeria for a stronger following turn. These little gaps in their offense are great opportunities for you to push aggressive lands towards your opponent. Neutral lands are the quickest followed by your coloured land to summon your attackers. Defending against rush can be difficult but with good land placement and faeria management you’ll have a much easier time. Like any card game there are more in-depth strategies for dealing with rush. Check out the next part to this guide, Defending Against Rush - Intermediate. This guide needs to be updated for the current patch. For example, Shaytan Vampire was redesigned and no longer heals. Where is the second part of the guide?? It includes some details this guide doesn’t cover. It’s a bit outdated since some of the cards have been rebalanced afterwards, but most of the advice still useful.